Grab your mountain bike and hit the Loftus loop trail in Sydney's Royal National Park. Though easy in parts, this 10km mountain bike ride is sure to get your heart pumping. You’ll cover 8km of trail, along with 2km of designated bike track. Terrain changes from flat, wide trails to steep, single-track trails that can be a little rocky under your tyres. There are some steep sections around Temptation Creek, so it’s best to walk these if you’re an inexperienced rider. This diverse terrain makes Loftus loop trail one of Royal National Park’s most enjoyable cycling trails. Starting and finishing at Loftus Oval – although you can begin at any location in the loop – Loftus loop trail winds around Loftus Oval. There are a number of linking loops, so you can choose a short ride or a long ride (15mins to 4hrs) . Park entry fees apply when entering Royal National Park. Check out the park's visitor info. Take care at tramway crossings – remember, trams have right of way at all times. 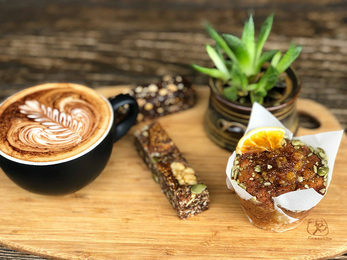 When you're done cycling your heart out, stop off at the Audley Dance Hall Café for a bite to eat, or unroll a blanket for a picnic lunch at Ironbark Flat picnic area. It’s a good idea to download the Cycling in Royal National Park guide on your mobile (below) .